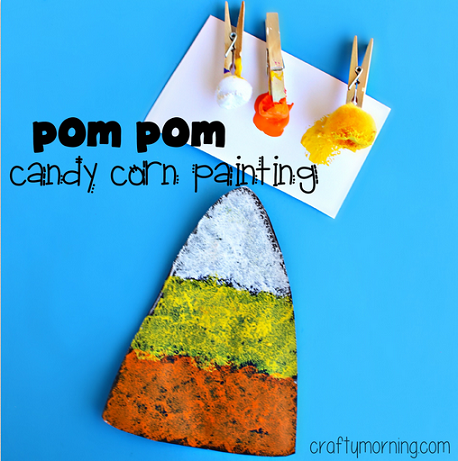 Have your kids make this fun candy corn craft using pom poms to paint! I always like to switch up the painting tools we use so this one worked out very well! 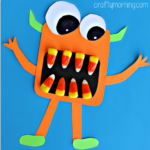 You can make this art project for Halloween or just for the fall season. 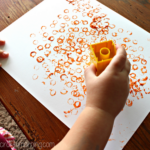 Toddlers and preschoolers can definitely handle this one! 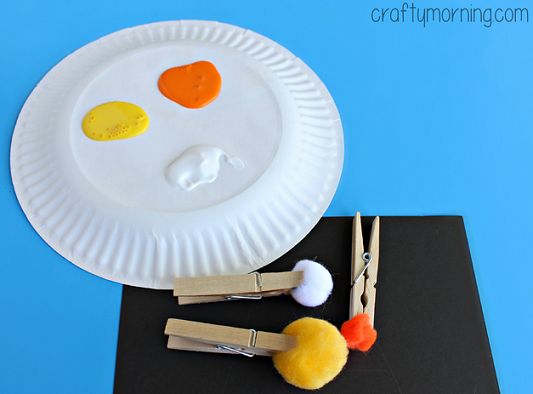 Start by having the kids pick up pom poms with their clothespins. 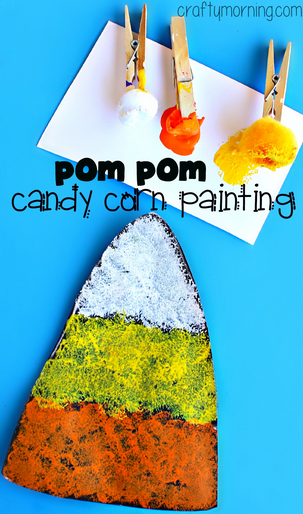 On a black piece of paper draw the outline of a candy corn shape with white crayon/chalk and add two lines. 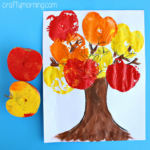 Have the kids start with yellow on the bottom (we screwed up, oops!) orange in the middle and white on top. 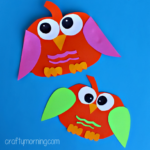 Let dry and cut them out! 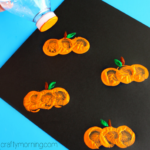 They would be cute to hang up like garland for Halloween. 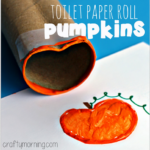 This is such a cute craft idea. 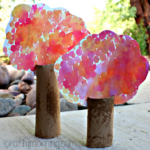 We love all things with paint and pom poms! Thank you so much for sharing.